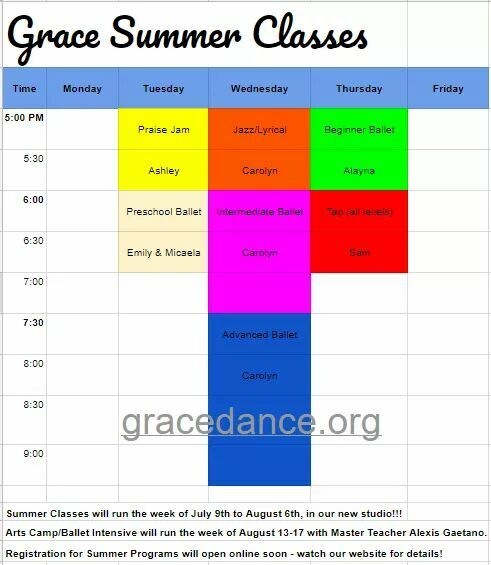 Summer Classes & Ballet Intensive!! Online Registration for Summer Classes is OPEN NOW! Visit our Parent Portal for quick and easy online registration. Classes begin July 10. Drop-in Rate is $10/class. Come try it out! Contact: rebecca.gracedance@gmail.com for more information.